Jamaica Inn - Caribbean & Co.
Jamaica Inn has been operating since the 1950s and is consistently ranked as one of the finest luxury hotels in the Caribbean. The hotel is located in Ocho Rios, which is one of the most exclusive private beaches in the whole of the island. 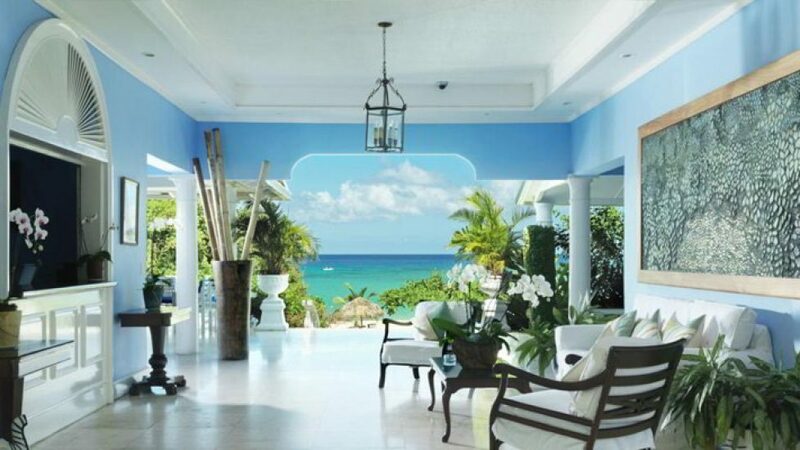 In total, there are 52 suites and cottages in the resort and each offers you a view of the Caribbean Sea. Standing on your veranda, there is no greater way to drink in the magnificent view in one of the most relaxing and pleasant destinations you can ever hope to find in the entire world. The same family, the Morrow family, has been in charge of the hotel for more than 50 years, and the care and attention to detail on offer in the resort is exactly what you would expect from a family firm that puts customers first. The resort is also one of the most exquisite Caribbean destinations you can hope to find when it comes to having a wedding. The resort team has a great deal of experience in organizing Jamaican weddings on the beach, so if you are keen to have the most glorious wedding with everything is taken care of for you, this is a resort that is well worth checking out. When it comes to experiencing the smells, tastes, and sounds of Jamaica, you will not have to venture far from the resort. Everything you could ever need or want is at hand, ensuring you have the perfect opportunity to make the most of your time in Jamaica. Whether you are a regular visitor to the island, or this is a once in a lifetime trip, Jamaica Inn has everything you could be looking for.